If I remember correctly, it was in standard seven. One day, we all came to school with a big smile on our face. The first thing that we friends asked each other on entering the classroom after the assembly prayers were over was whether we saw Shriman Prithviraj the previous night on national television. The reply was unanimous. Yes, said all. And then it started. The dissection and bisection of every scene. The constant repetition of the funny one-liners. The feelings for the pre-pubescent Rashik were enumerated. The joys at the union of Rashik and Amalabala was pronounced. 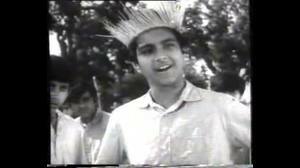 In short, an entire classroom of 58 odd students chirped and bonded over this 1973 Tarun Majumdar masterpiece. Such is the fan following of this cult classic that even today when we school friends meet over a cuppa, we relive that day in class seven when this film was the topic of discussion for an entire week. The story in set in a village in West Bengal where Rashik (Ayan Banerjee) is like a Tom Sawyeresque lad famous, or rather notorious, for his naughty escapades. He is the apple of his grandmother's eye and hence, is a tad spoilt. His father, a rich landlord is fed up with his wayward ways and cannot do enough to tame him. He picks up fights at school, runs into trouble with his teachers but is still the hero of his pack, a gang of young boys who believe themselves to be adults and in control all the time. They try to behave maturely but only we know how juvenile they are. Rashik, the enfant terrible, is referred to as Prithviraj by his friends. They, as well as Rashik, feel that Prithviraj was a gallant prince who could do almost anything on the planet. Rashik's enemy is a fat young boy who calls himself Alexander, but is hardly that great. He is found grovelling in the dust whenever Rashik attacks him. But then this fat boy is cheeky, not courageous enough as our Rashik. Driven up the wall by Rashik's notoriety, his father, Banamali Mukherjee (Satya Banerjee) decides to get him married. Tradition has it that a rich landlord can enjoy polygamy. Banamali's grandfather has six wives, his father had four, and he has two. A hilarious scene has Rashik's toothless grandmother cribbing that if her husband would have been alive then Rashik would by now have had so many wives!! A bad practise I believe, but then in the film the reference guarantees gags, so I don't mind it. But Rashik's trip is cut short by a family guru, who instructs Banamali to get him hitched at the earliest. So, Rashik Lal Mukherjee ties the knot with Amalabala (Mahua Roy Chowdhury), the pretty and innocent daughter of Ray Saheb (Utpal Dutt), the man hell bent on attaining the Raybahadur title from the British. After this the fun just multiplies. Rashik is up to his tricks even when he visits his in-laws and proves that he is really a hard nut to crack. Hilarious situations follow. One sweet yet comic scene takes place during the wedding night of Rashik and Amalabala. Rashik is now a married man. He walks and talks with a swagger just to impress his newly-wed as well as his friends. He orders his child wife around. But then when he gets to know that she is a bit more educated than him, he nonchalantly declares that he will learn everything from her. There is no battle of the sexes here. After all these are children we are talking about. Then suddenly, through the window Rashik's friends emerge into the room to congratulate Rashik and his wife. They get a gift for the couple-- a storybook called Shriman Prithviraj. Little do they know that after some months Rashik will be enacting the story from this book in his real life!! So this is how the couple spend their wedding night. Soon, Rashik gets to meet Saraswati (Sandhya Ray), Amalabala's best friend. She is a beautiful woman who is bubbly. But behind her chirpy exterior she hides a melancholic soul, courtesy the separation from her husband Akhil (Biswajit), as he is a Swadeshi. Saraswati gifts the couple a book of stories harping on adolescent love and adventure. This is the first time that Rashik will encounter thrills of adulthood. It is from here that Rashik starts growing. The National movement is a perfect backdrop for this sweet love story. Or do we call it a coming-of-age tale of Rashik and Amalabala. For, this is a lad who spend his nights reading exciting love tales to his wife as he too is curious about all these adventures. In the process he dozes off every morning when the Sahib is trying to teach him some English! One awesome thing is how Rashik's demeanour changes through the length of the film. 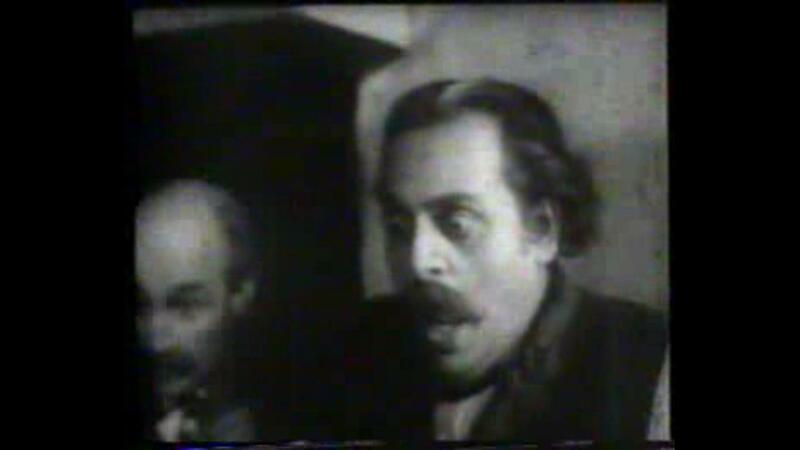 In the initial scenes, he does look like a child, running into rough weather with his pranks and antics. When he is brandishing the stick trying to ward off his teachers in school (Santosh Dutta in a blink-and-you-miss but funny part), no one can imagine that in a few more days this lad will be married of. But as the film progresses, Rashik grows up. His appearance changes, too. He gets to learn so many things while staying at his in-laws' house. He recognises his duties towards Amalabala and understands her feelings. Most importantly, Rashik falls in love with his child wife. Why else would he throw a tantrum when his father fixes his marriage once again. Watch him plan the elopement with Amalabala and you would know that our boy has grown up. Surely he has his faithful compatriots helping him out, but the initial game plan belongs to Rashik. I love the scene where he writes a letter to his wife about his plan. When he hands it over to a friend to be read, that boy is scandalised to see that Rashik has greeted his wife with kisses!!! See, Rashik is growing up to a romantic and brave man!!! Rashik's juvenile battles with his enemy's team are hilarious. I see him as a Robin Hood here, helping the poor, teaching the baddies a lesson. But what's sad is how he is misunderstood after he beats up the villains! But then a child's world is full of troubles that are somewhat nonsensical. It's sheer fun to watch Rashik and his cronies, namely Makhna, Bhola and Bhuto function. Tarun Majumdar saves the best for the last, when Rashik goes to fetch Amabala. This is seriously rib-tickling. The boy does not know how to drive, yet is running the vintage car at top speed! You just have to see it to believe it. Our hero can do almost everything. Nothing is impossible for this firecracker of a boy! This film is a beautiful love story. It is innocent and magical. So, the performances are obviously flawless. 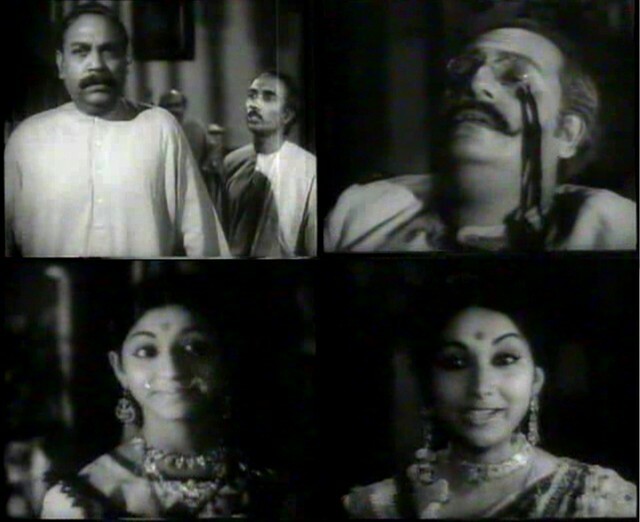 Utpal Dutt is mindblowing, Mahua Roy Chowdhury is sheer bliss and Sandhya Ray is perfect. Every character in the film is earthshatteringly good. But the film belongs to Rashik, in other words Ayan Banerjee. This teenager just rules from frame one. He is effortless, smart, flamboyant, goodlooking, brave and charismatic. I have to admit that as a teenager there have been times when I flipped for this Rashik. Tarun Majumdar has painted an immaculate picture of rural Bengal--the paddy fields, the old havelis of the landlords, the green countryside, the costumes, the customs, everything is absolutely perfect. Reminds me of Tarun Majumdar's Balika Bodhu. I have not seen this film but after reading your review would sure like to seeit, sad that my favourite Mahua's life was so cruelly cut short by destiny. Didn't Ayan Banerjee grow up to be a fairly successful actor in Bengali films? if I am not mistaken I think I saw him in Dadar Kirti or was it some other film? @Shilpi: yes, he was the supporting actor in Dadar Kirti but I'm afraid he was not as successful as he should have been. WE could then have a really charming actor in him if he achieved stardom! I absolutely agree with you Sharmi.I recently saw him in a film, forgotten the name, there was MoonMoon Sen, Utpal Dutt, it was a sort of children's film about a young man(Ayan Banerjee) who pretends to be Utpal Dutt's friend's son who comes to claim his father's wealth which had been left in Dutt's custody. He actually was just a fraud, the name of the film had something to do with a ring. Banerjee speaks some real shudho Bangla. I quite liked his performance. @Shilpi: Are u referring to Hirer Aangti? I'm still not sure though! @Bollyviewer: Great, let me add them on. Awwwww! Such a sweet review of such an amazing and timeless film. It sure radiates your love for this film. 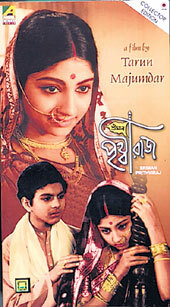 Infact it radiates the love of everyone who has watched this Tarun Majumdar masterpiece. I am trying my best to lay my hands on a DVD/VCD version... for posterity. No luck... yet. Sob! @Roshmi: Hello there. I'm not sure whether she was married to Ayan in real life but there chemistry in this film was crackling. Thats one hell of a review. Detailed and yet insightful. Thanks for sharing. I saw Sriman Prithwiraj first when I was 12. It was nice reading this refreshing review. Thanks for sharing. These were great movies .... I am proud to be a Bengali...... What literature and creativity do we possess !!! amazing....... Today's commercial movies are nowhere close.. let us all strive to get this quality back !!! @Anonymous: Thanks for the trivia! just watched the film...loved every bit of it...a simple yet sweet story.rashik mesmerizes me all the way. suddenly i came accross this blog and read about d mind blowing review of my childhood film..thank u madam.amd then i will answer 2 questions asked in dis blog previously. 1) Mahua RC was married to tilak chakraborty who was also a child actor. @Wrik: Thank you so much for the trivia! This film is way too old (I am 28- film is 41), but every time I see it ( stopped counting) I feel so good that I don't want to believe Rasik was a 1973 character. Thats why it is a master piece. Sakhi Bhabona kahare bole... this song was sung by almost all Bengali and lot of Bollywood artists.. but Lata ji's performance is the benchmark cant be compared.. only referred. Watched the movie recently again. Shormi has immaculately visualized the main movements of the film. However, its not a Childern's movie per se. No I won't call it a children's film... Thank you for writing in... It's Sharmi by the way! !